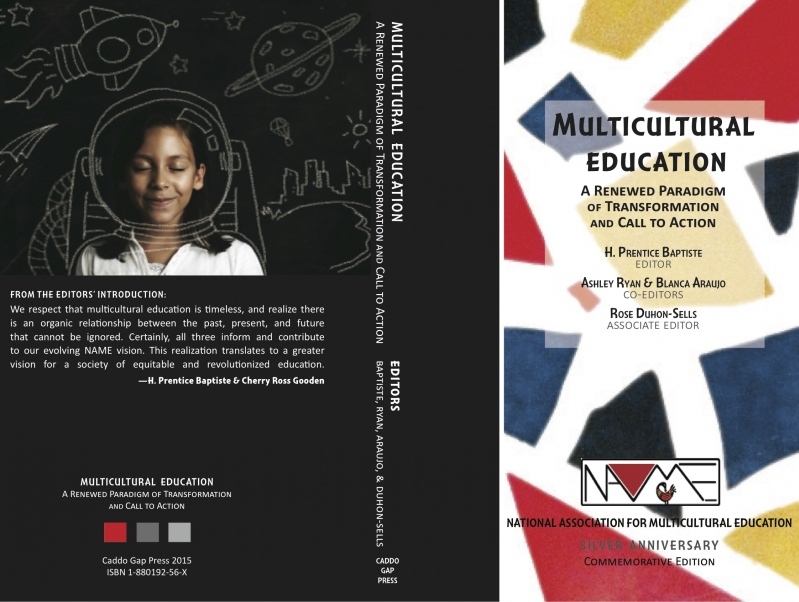 A major purpose of this book is to commemorate the accomplishments, endurance, and continuing existence of the National Association for Multicultural Education (NAME). NAME serves as anational and international forum for examining dehumanizing issues affecting students of color and other marginalized children and youth. This commemorative book includes chapters by James A. Banks, Geneva Gay, Carl A. Grant, Sonia Nieto, Christine Sleeter, H. Prentice Baptiste, Bill Howe and others. These NAME and Multicultural Education giants address curriculum and instruction, critical examination of the politicization of education, high stakes testing, Intersectionality, Globalization of education, research trends, Multicultural Teacher preparation and much more. Many of these great authors will be a part of the NAME Silver Anniversary Conference October 1-4. There will be many opportunities to discuss the book with them and to have your book autographed. The book is available by advance-sale as a part of online conference registration and will be available for sale at the conference. The book is going to sell out! Be sure to get your copy and get it autographed at the NAME 25th Anniversary Conference!